Found in and around The Mount Lofty Ranges, Piccadilly Valley region, Kangaroo Island and some regions of The Fleurieu and considered endangered. 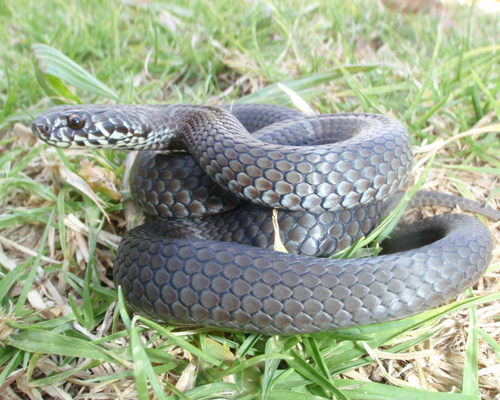 They are a smaller snake only growing to around 50cm in length and mainly a dull dark olive grey colour and even brown. Their bite is considered dangerous to humans and pets and immediate action is required to reduce the chance of injury, even death. In nearly all cases snakes will flee when approached by humans or cats and dogs. They feed on skinks and frogs and like to live under dense vegetation, logs and rocks and retaining walls. Pygmy Copperheads are live bearers having up to 10 young around 7cm long.